"Climb Fie! Climb! You can do it!" To me, the climb wasn't half as bad like Great Wall of China. Fie became my willing photography model as we rushed to get to the top and then climb down in less then an hour. Fuhhhhhhhhhhh! golden buddha in the Wanchun Pavillion. It's not about the buildings that we purposely climbed all the stairs to the top. 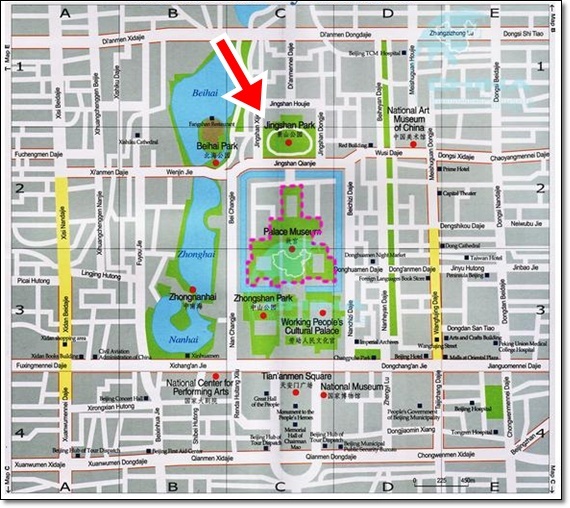 JingShan Park is famous for being strategically located just above the Forbidden City as seen in the map below. 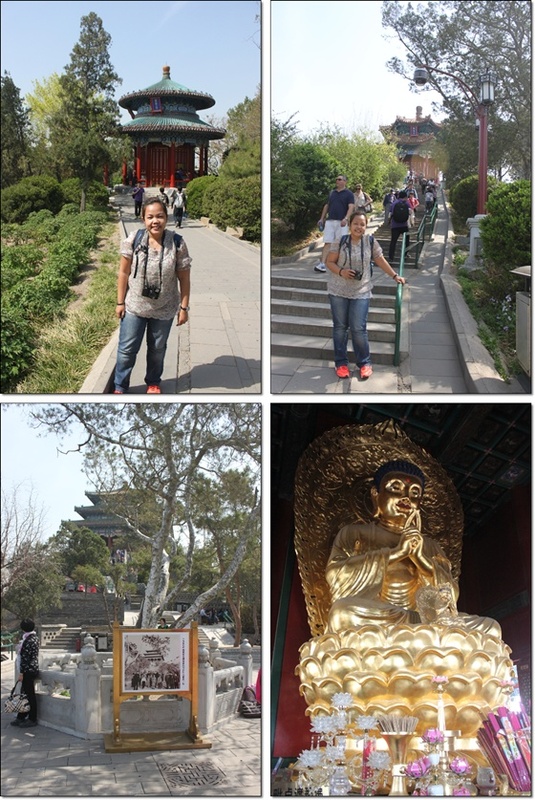 Jingshan Park is a park full of hills. And once we finally reached the top, LO AND BEHOLD!!! We could see the WHOLE Forbidden City from the top! OMG!!! I know the picture doesn't show much because I don't have powerful camera lenses yet. But through the naked eye, the view was MARVELOUS!!! It kinda knocked the breath out of us. The view of the lake at the east side. 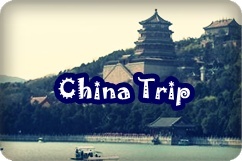 Next stop is foot massage, lunch, another Jade Factory and finally a three hour shopping spree at Beijing's open market!! All in the next entry! I am sorry for the delay of the entries as I was pretty much preoccupied these past few days. Oh and did you know? I won the Malaysia International Tourism Travel Blog Award!!! Thanks to all who supported and voted for me! Love you muchhhhhhhhhh!! !